Merry Christmas from your friendly neighborhood spider man! 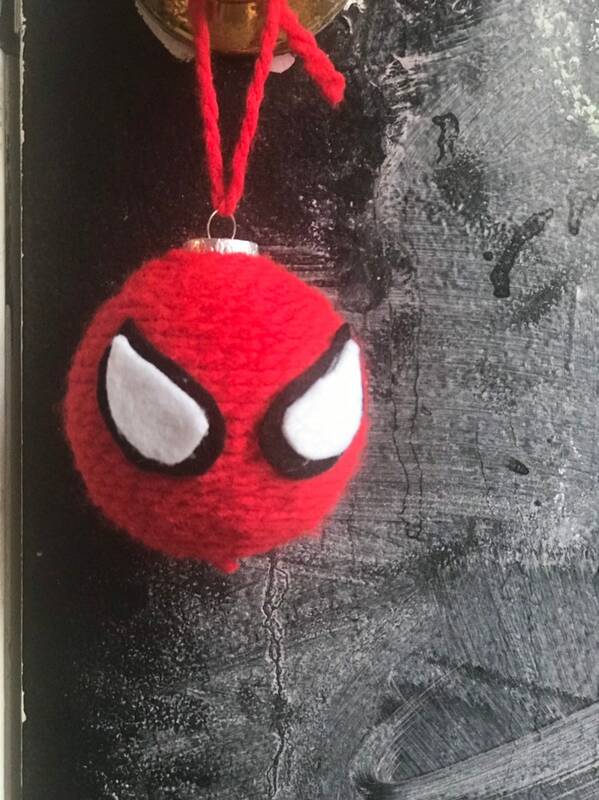 I wrapped a Christmas ornament ball in yarn and then glued on the felt pieces. A ribbon is attached for easy hanging.